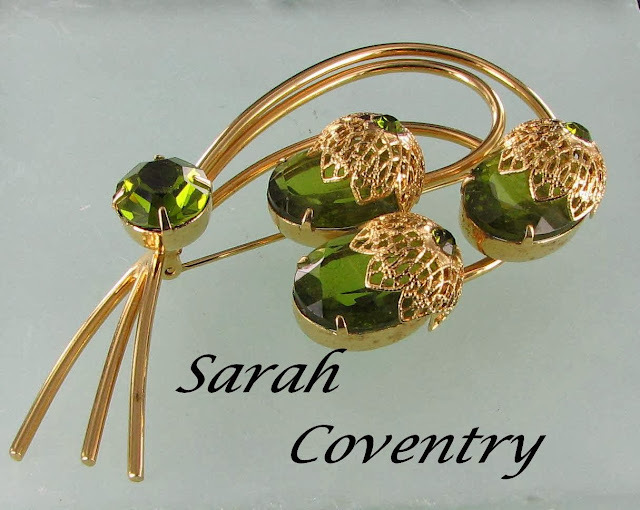 My Mom used to have a lot of Sarah Coventry jewelry when I was young. That was a big thing way back when. It still is with many collectors. Sarah Coventry is very collectible, particularly the better pieces. Nice Sarah Coventry, Great Post. My Mom was a dealer and collector for over 50 years - now I took over since Mom is gone. Is her younger days, she sold Sarah Coventry and then Caroline Emmons jewelry and won many trips... from C.E. for her great work. Such pretty jewelry from both companies ! Thanks for sharing this post. Customers nowadays buy jewellery online because there are so many designs and competitive online jewellery prices.